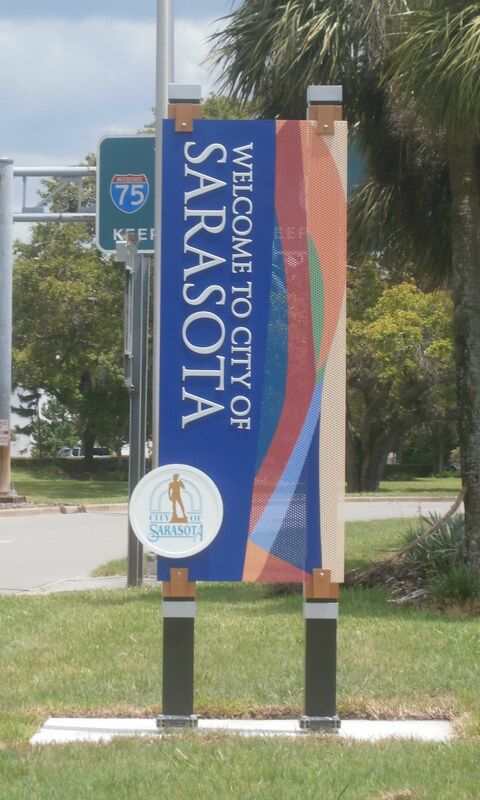 The City of Sarasota recently contracted Gulf Coast Signs to produce a Welcome Sign from their Gateway Project design set. The 10 foot tall monolith features an architectural aluminum support structure with custom fabricated clips & trim. Aluminum sheet sandwiches a perforated aluminum core and holds pin mounted laser cut acrylic copy enhanced with first surface reflective vinyl film. 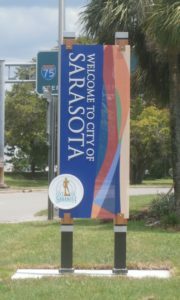 Matthews acrylic polyurethane paints were used for the color finishes and the entire sign was coated with a polyester clear coat for extended UV and finish protection.